QUEENS — The NYPD is making a new push to solve the decades-old case of a Rockaway physician's assistant who was found strangled in Prospect Park, one of five similar deaths that year that "puzzled" the police department. 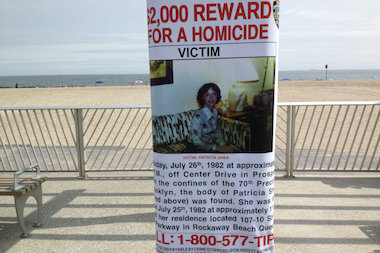 Posters recently appeared near Beach 106th Street asking for information about the 1982 killing of Patricia Shea and offering a $2,000 reward for information. It was not clear what prompted the renewed interest in the case and the NYPD did not immediately comment. Shea, 40, was last seen on July 25 of that year in the parking lot of her apartment complex on Beach 107th Street and Shore Front Parkway in Rockaway Park. She told friends at around 11 p.m. that she was going to check on an elderly patient who lived in an apartment building next to hers, according to reports at the time. Posters went up this weekend around Rockaway, across from where Shea was last seen. 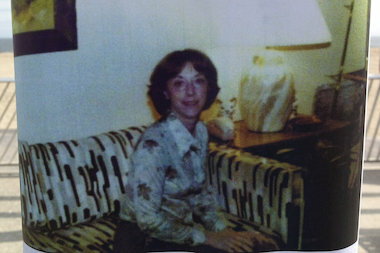 Her body was found the next day in Prospect Park and police said she was strangled with nylon rope, according to a 1982 story in the New York Times. A man's shirt was found next to the body, which police said was being investigated as possible evidence. Police also said she was likely killed somewhere else and dumped in the Brooklyn park, according to the Times. Officers said they were also trying to track down a man who friends said was last seen at Shea's apartment building, where the doctor's office where she worked was also based. Shea was described in a report on her death in The Wave as an animal lover who would pick up stray cats and have them spayed. She was also a volunteer with the ambulance corps of the now-closed Peninsula Hospital and friends said she was a "perpetual student" who always took college classes. Her sister-in-law, Mary Pat, said Tuesday that she was surprised the NYPD had a renewed interest in the case, and thought maybe it had to do with the recent anniversary. She called the murder a "devastation" for her family, noting it was particularly hard on her husband, John, who passed away nearly three years ago. "He admired her," she said. "People were just crazy about her in the Rockaway area. She was just a wonderful woman and she was so young." Shea's murder was one of five similar strangling deaths of women in New York City in 1982 which "puzzled" the police department, reports said. Detectives couldn't find a link between the five women — the first of whom was found in March in Coney Island. Two more, including Shea, were found elsewhere in Brooklyn and two in lower Manhattan. 'The only common thread is that five women have been strangled in a a short period of time,'' then-Deputy Chief Robert Colangelo, the commander of detectives in Brooklyn, told the Times in 1982. The result of the other cases was not immediately clear.